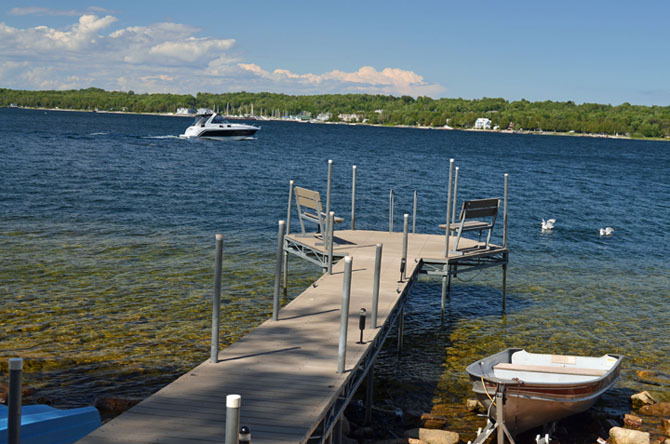 Enjoy a relaxing, getaway in the adult atmosphere (The Country House Resort welcomes adults and children 13 yrs & older)of our secluded, waterfront resort. 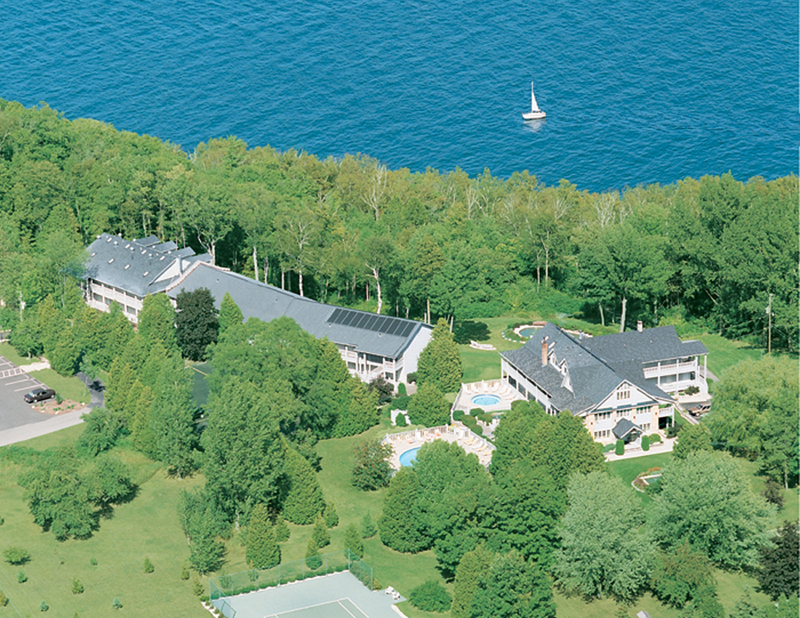 Experience our peaceful setting on 27 wooded acres with 1,100 ft. of private Sister Bay shoreline. This is the perfect spot for a honeymoon, anniversary or Birthday celebration. Accommodations include private water view balconies overlooking the bay, our beautiful fountains and gardens. 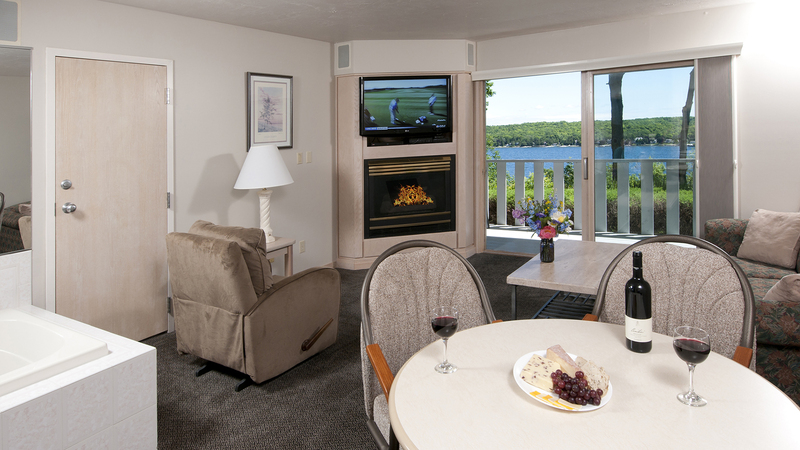 Many of the 46 rooms & suites offer 2 person in-room whirlpools and/or gas fireplaces. Complimentary amenities, May - Oct., include outdoor heated pool and whirlpool, kayaks, bikes, tennis court, nature trail, yard games and a European style buffet breakfast served May-Oct. Designated dog friendly rooms & suites are available by advance reservation. Located 1/4 mile off Hwy 42 and still walking distance to the village of Sister Bay. Family owned and operated. TripAdvisors Certificate of Excellence Award 2012-2018. 2019 Rates: $95-$300 off season; $140-$448 peak season. Open daily, except closed Dec 9 - Dec 25. 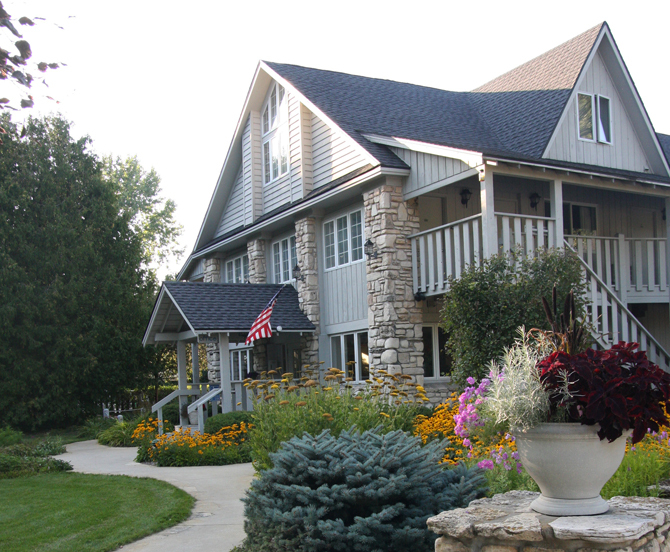 During our quiet season enjoy a different Door County- quiet, tranquil and relaxing. Our secluded setting is spectacular in winter and peaceful throughout the season. The resort operates at a more laid back pace with limited services and amenities. Breakfast maybe a lighter continental buffet or a snack provided in-room. Our office hours are more limited (see below) and our outdoor pool and whirlpool are closed. 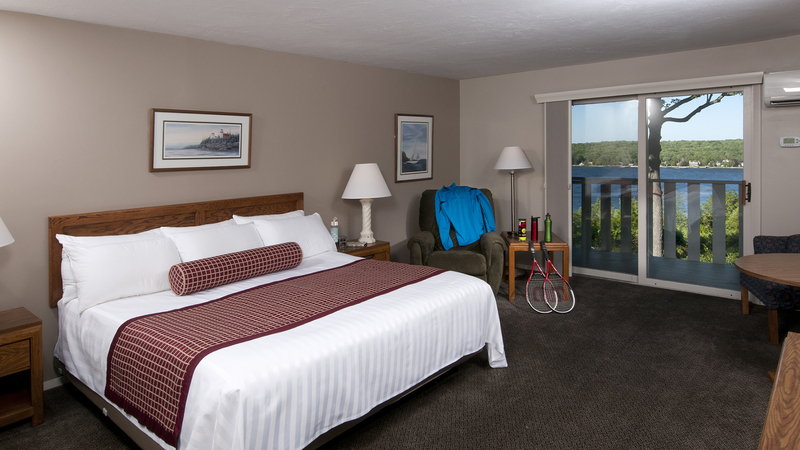 Come enjoy a relaxing getaway in one of our Whirlpool Rooms or a Suite with a whirlpool and gas fireplace, both with a private, water view balcony. Getaway Special available November 4, 2018 thru May 2, 2019, stay three or more nights in a water-view room or suite and receive a complimentary dinner for two at the White Gull Inn or Alexander’s Restaurant. Check for blackout dates. Romance Package also available November 4, 2017 thru May 2, 2019. Package includes two nights lodging for 2 in a water-view room or suite, candlelight dinner for two at the White Gull Inn or Alexander’s Restaurant, a choice of a massage package at the Sacred Grounds Spa or a Door County goodies basket, plus a $25 Door County Gift Certificate. Package starts at $400 and depends on your choice of room or suite. Please see our website for details. Advance reservations are required. To reserve this Special or Package, please book directly with us by calling our office 800-424-0041 or emailing us at frontdesk@CountryHouseResort.com. GUARANTEED BEST RATES when booking with us directly. Quiet season office hours are Mon.- Thurs. 9AM - 4PM, Fri.- Sat. 9AM - 8PM and Sun. 10AM- 2PM.